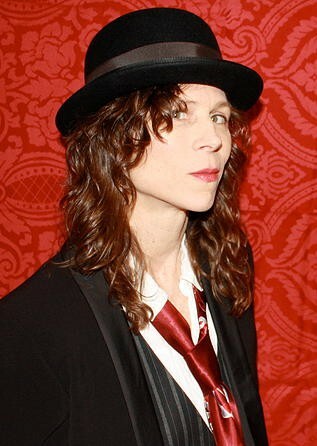 You wouldn’t necessarily know it from mainstream early 20th century culture, but many of the most important musical figures of the era were gay, bisexual, or transgender—and some of them even sang about being “in the life.” “The Lavender Blues,” a show by Sarah Kilborne that examines this rich, secret legacy, will come to Club Helsinki next month. Kilborne is an author, performance artist and LGBTQ activist who has appeared on television and radio and writes for Slate, the Huffington Post, the Advocate, and other outlets. Subtitled “A Showcase of Queer Music Before World War II,” her cabaret program combines music with theater, history and dance, was conceived and written by Kilborne. The show includes songs from a variety of genres including blues, early jazz, ballads, and pop. “The Lavender Blues: A Showcase of Queer Music Before World War II” featuring Sarah Kilborne will run at Club Helsinki in Hudson on January 22 at 8pm. Tickets are $15 in advance and $20 day of show. For more information, call (518) 828-4800 or visit http://helsinkihudson.com/index.html.